Lyme Disease is a painful and potentially deadly condition with as many as 30,000 cases reported in the United States every year. Caused by the bacterium Borrelia burgdorferi, Lyme disease is transmitted to humans through the bite of infected blacklegged ticks. Typical symptoms include fever, headache, fatigue, and a characteristic skin rash called erythema migrans. Because many lyme disease cases go unreported, the untreated disease can often lead to problems with joints, the heart, and the nervous system. According to recent research by scientists at UC Berkeley, birds contribute more than was originally thought to the spread of Lyme disease in California and the western U.S. In addition to wood rats, western gray squirrels and other tick-carrying small mammals responsible for the disease’s proliferation, the study points to several species of birds as being important contributors. Using 53 bird species from 14 sites at the UC Hopland Research and Extension Center, the study found 23 species with an affinity for dense suburban and urban areas, which were highly mobile, and were found to be significant hosts of the Lyme disease bacteria. 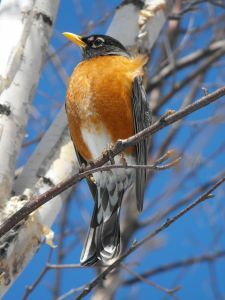 Most notably, these birds include American robins and golden-crowned sparrows, with the lesser goldfinch, oak titmouse and dark-eyed junco harboring the most Lyme disease bacteria. “Birds are much more capable of carrying diseases long distances than the small-mammal hosts typical of Lyme disease, and so may constitute an underappreciated component of Lyme disease ecology,” said ornithologist Morgan Tingley. In addition to this important study, scientists at University of California, Berkeley are constantly making strides in life science research. UC Berkeley is consistently rated among the top institutions in the world for the quality and breadth of its research enterprise, for the scholarly distinction of its faculty, for the excellence of its Ph.D. programs, and for the amount of funding received for support of its research programs. UC Berkeley received $730.7 million in research funding for FY 2013/14. In 2013, NIH funding at Berkeley was $119M and increased to $151M in 2014. The UC Berkeley currently has 3 years remaining of a $500 million grant from global energy firm BP. As a leading research institution with million of dollars in annual R&D funding, UC Berkeley is an excellent marketplace for lab equipment suppliers to promote their products. 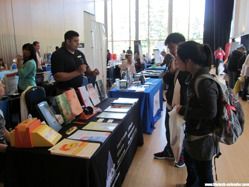 Vendors interested in marketing directly to Berkeley researchers are encouraged to participate in the 18th Annual BioResearch Product Faire™ Event at UC Berkeley.